Are We A Blog? : I've Been Slimed! Naaah... 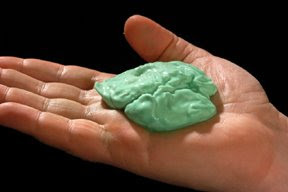 I thought that the slimey would be more like: http://www.sofotos.com.br/geleca.jpg. The yours are so clean and opaque. Um... is it edible? The slime they used Ghostbusters was edible you know.